It is a given that water is one of the best things that a person can do for their body, our bodies run off water, but do you know exactly what it can do? 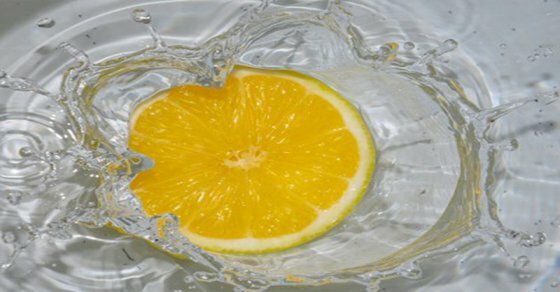 By simply adding lemon to your water you can completely transform your health. The vitamin C found in the lemon will work as an antioxidant helping to keep your skin looking healthy and subdue those unsightly blemishes. Drinking water itself can also help to keep your kidneys and liver functioning properly. Lemons are one of the most alkalizing foods for the body this is good because most people have highly acidic bodies. Therefore drinking lemon water daily helps to balance pH levels. Having adequate amounts of vitamin C in the body is very important because your immune cells are made mostly of vitamin C. This will help the body fight off colds and the flu. Even helping the body to absorb iron more efficiently which is also very important for the immune system. By boosting your metabolism and improving digestion, drinking lemon water is great for losing weight. Drinking lemon water can also have a positive effect on your gastrointestinal tract, which means it will be able to help flush the waste out of your bowel more efficiently. This will help subdue heartburn, bloating and indigestion. Containing Pectin, drinking lemon water will also reduce your appetite because this fiber creates a feeling of fullness. Making you less likely to snack all the time. Drinking lemon water any time of the day will help get rid of stinky breath. Leaving your mouth smelling delightful, like fresh lemons. Previous post: Breakfast That Helps You Lose 5 kg In a Week!